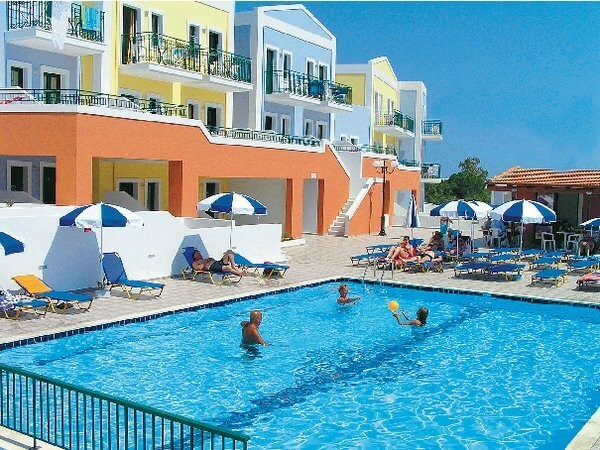 The Camari Garden Apartments offer excellent self catering accommodation located in the relaxing peaceful area of Gerani, 6kms from the ancient and historic Rethymnon; 200m from a small sandy and rocky and only 4km from Crete's beautiful Petres beach. Built in neo-classical style and occupies an invidious position overlooking the Cretan Sea and offers holidaymakers the chance to kick back and relax in a comfortable and relaxing ambience. Nearby at the resort centre there is a fine array of eateries, shopping and entertainment to suit all tastes and budgets. The Camari Garden apartments makes the ideal choice for holidaymakers seeking the chance to explore one of the most beautiful parts of Europe. Local tip: Take a day or a few hours and visit the old town of Rethymnon – take a stroll down the alleys down towards the Venetian harbour, be sure to take a camera and do not miss a single photo opportunity.